Holden Lunsford joined Holt Lunsford Commercial (HLC) in 2014 and serves as Partner, Managing Principal of the Dallas Office Division. 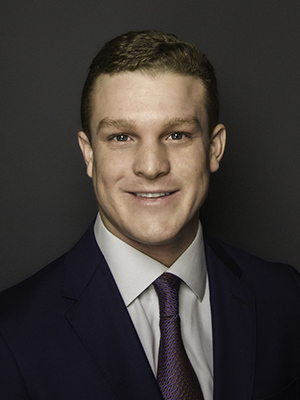 He is a dedicated project leasing professional specializing in the Dallas office market and is responsible for executing transactions on approximately 7 million square feet of office assets, representing both private and institutional investors. In addition, Holden identifies strategic office acquisition, disposition and development opportunities for his clients. Prior to joining HLC, Holden was a commercial real estate investment banking professional at HFF, L.P. (NYSE: HF) in Dallas, where he contributed to the permanent, construction, mezzanine and joint venture equity financing of office, industrial, multi-housing, hotel and retail assets across the southern United States. During this time, he executed more than $2.62 billion in commercial real estate debt and equity transactions. Holden has received a BBA in Finance from Texas A&M University. Holden is a Texas Real Estate Commission license holder. He is also a member of The Real Estate Council (TREC) Foundation Board, TREC Associate Leadership Council (Class of 2017), Urban Land Institute (ULI), Friends of the Dallas Police Board, East-West Ministries Partnership Board, and the Planning and Development Committee at First Baptist Church of Dallas.